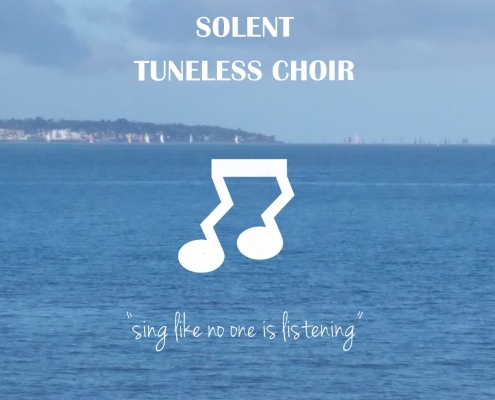 Solent Tuneless Choir launched on Tuesday 9th May 2017, at the hall at Holy Rood Church Centre, Gosport Road, Stubbington, Fareham, PO14 2AS. New members are welcome to come along at any stage. Choir sessions are held weekly every Tuesday from 7.30pm until 9pm during school term times. Like all Tuneless Choirs, the aim will be to allow people to enjoy group singing without the need to worry what they sound like. We “sing like no one is listening” – it’s incredibly liberating, especially if you’ve ever been told to stop singing. Join in wholeheartedly and your endorphins will start flowing. These are the brain’s feel-good chemicals – the name is short for “endogenous morphine” – and the reason why singing with others has been shown to increase life satisfaction. The choir has been set up by Maureen McCallum, who is known as “Mo”. At school she was told she wasn’t good enough to join the choir. She visited her friends who run the Sutton Coldfield Tuneless Choir and decided she wanted to set one up in the area as she just wants to sing. Former Royal Marine Jon Booth led the choir until recently. Solent have a new choir leader, Andrew Anderson starting in January 2019. Andrew has worked with singers of all abilities and strongly believes that singing is an uplifting activity that everyone can enjoy, regardless of ability. Newcomers pay £10 for their first session, including registration with the choir. The regular price is £7 if you attend the choir on an ad hoc basis, as some people choose to do. You can pay in advance for a term for the equivalent of £5 per session. Refreshments are included each time. 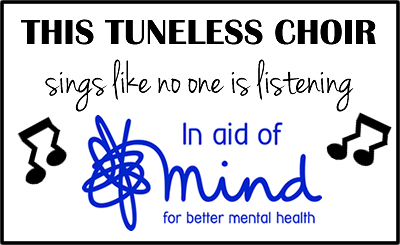 Contact us by emailing solent@tunelesschoir.com or calling Mo on 07854 407579. If you can’t make it along in the near future, then subscribing to our mailing list will keep you up to date with when we’re holding sessions. Holy Rood Church. The car park is on the left, with the hall round the back.